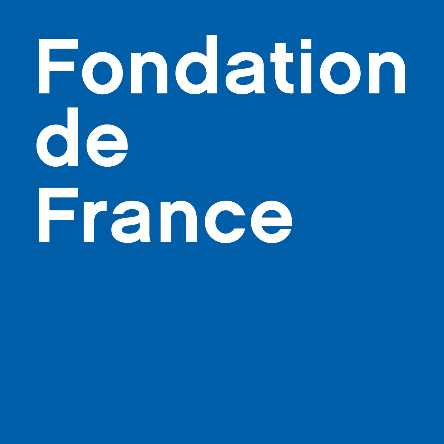 Encouraging contemporary creation and promoting emerging artists is a key aspect of the activities carried out by the Fondation pour le Rayonnement du Musée de Montmartre. Art and culture are a daily richness that must be preserved. The foundation aims at providing visibility to new works and emerging artists to enrich the heritage of Montmartre. In this way, it promotes contemporary art by inviting local artists to collaborate in highlighting Montmartre’s museum, traditions and history by developing projects and enhancing scenographers and exhibitions. Project for the façade of the Bateau-Lavoir. The Bateau-Lavoir is the most famous place of artistic creation in Montmartre. This building was once a place for encounters, sharing and exchanges in which outstanding artists, painters, writers, actors, and art dealers enjoyed meeting up. After the fire of 1967, the façade was all that remained at No. 13 Rue Ravignan, Place Emile Goudeau, recalling the memory of the place. The Musée de Montmartre launched a competition among scenographers, designers and graphic artists or plastic artists to design and build the new façade of the Bateau-Lavoir. At the end of the tender process launched in February 2015, it was the “atelier 1: 1” which gained the chance to reinvent the facade and present the history of the Bateau-Lavoir. 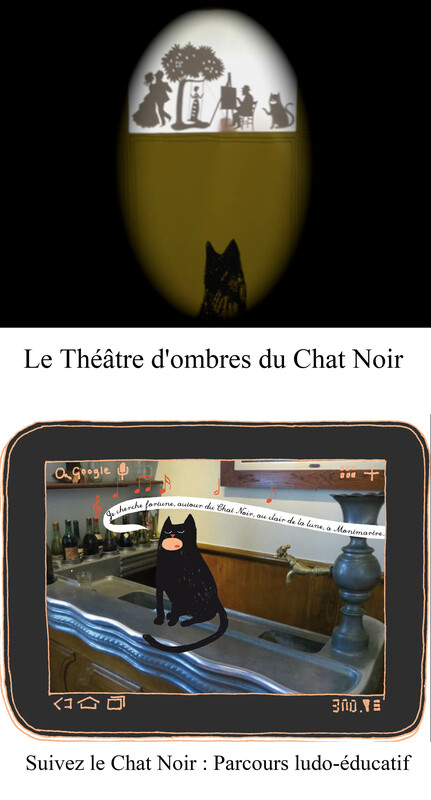 The project proposes to revive the workshops of the Bateau-Lavoir and the pictorial adventure that took place in the form of a shadow theater. The Scenography reminds the now defunct facade of the workshops of the Bateau-Lavoir. The shadows reappear by light revealing fragments of the history of the place, which hosted a great art era. 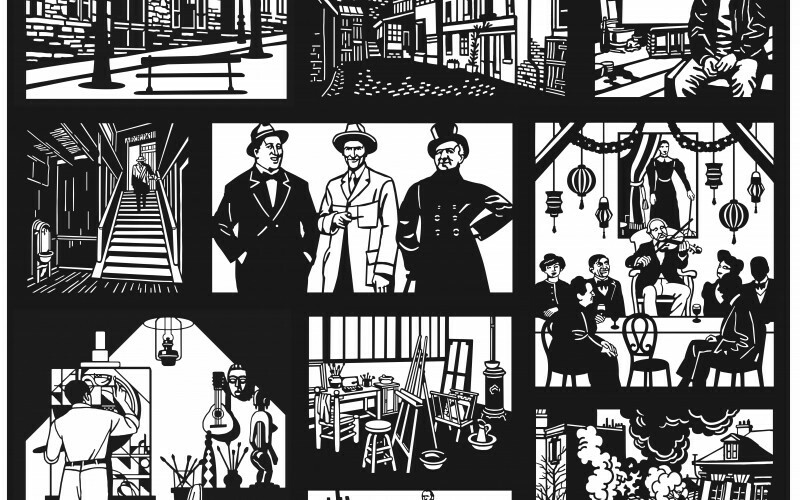 Ten illustrations depict the daily life and highlights of the place: from the banquet du Douanier Rousseau, to the visit of the art collectors to Picasso’s workshop and the birth of Cubism. The selected archives recreate a scenario through the drawings of Erwann Terrier, as a true visual testimony. The new façade is presented to visitors as a little street show paying tribute to the former spirit of the Montmartre nightlife at the beginning of the 20th century. Realized by Patrick Suchet, the façade becomes a theater where the passer-by is the spectator but also the actor. The façade will animate the Ravignan square (“la place Ravignan”) by windows lit intermittently, according to the choice of the passers-by, resurrecting the ghosts of the Bateau-Lavoir. 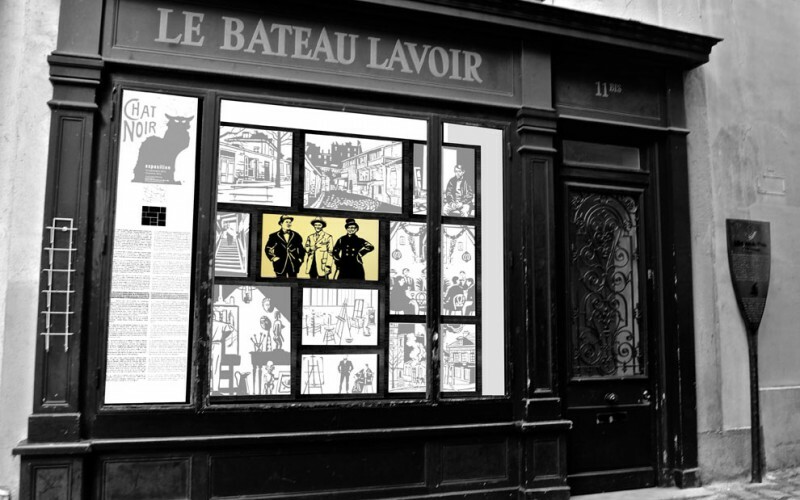 This dreamlike proposal offers the opportunity, for a large audience, to discover the history of the Bateau-Lavoir through drawings, a universal language. Created in 2014, the “atelier 1: 1” was named to symbolize both the workplace of the artisan and the workplace of the worker. Its name also refers to group work, learning and achievement since it is a place built in order to inspire exchange and collaboration. It combines three partners from different backgrounds from architecture and artistic production. The founding members are Henry Flouzat, Clara Lamerre and Léa Lamerre. For the façade project of the Bateau Lavoir, the “atelier1: 1” enlisted the skills of the graphic designer Erwann Terrier, the interactive designer Patrick Suchet, and the exhibition technician Pascal Baillet.